Product prices and availability are accurate as of 2019-04-15 16:40:40 EDT and are subject to change. Any price and availability information displayed on http://www.amazon.com/ at the time of purchase will apply to the purchase of this product. 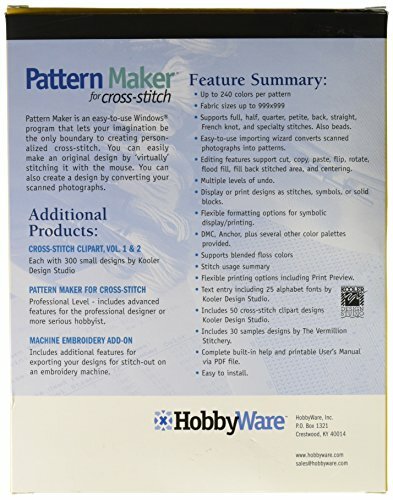 Pattern Maker for cross stitch is a Windows program that allows you to create and edit cross-stitch patterns. 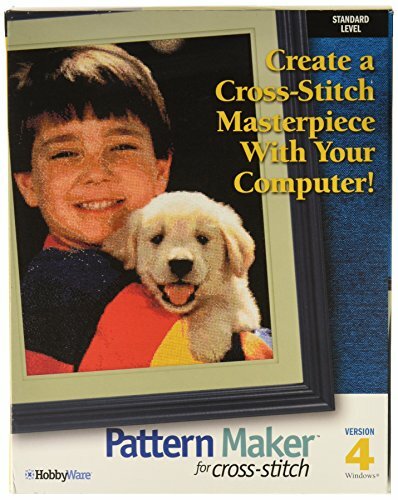 With this program you can see your patterns 'come to life' on the computer screen before you make the first real stitch. At any time you can print the pattern using any of several formats including a 'symbolic' view, which can be used as a stitching guide. Up to 240 floss colors can be used per design from brands such as DMC and Anchor. Designs can have up to 999x999 full stitches. Complete printing support including print preview, color printing, and options for controlling the content and size of the printout. Drawing and editing via the mouse simply by pointing and clicking. Drawing it using the various stitch tools. 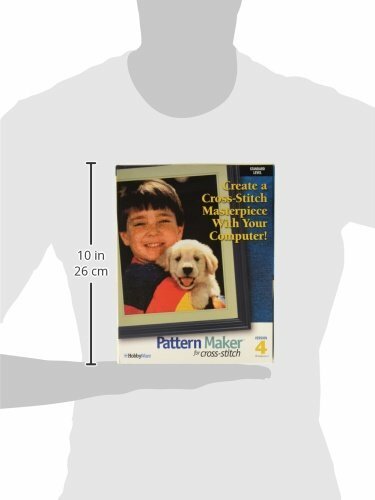 Importing a scanned photographic or other graphics image. Using clipart designs (100 included) and the text entry tool to 'build' a design. Additional clipart designs are also available. Requires Windows 95/98 and 12 MBytes of hard disk space and 8MBytes of system RAM.